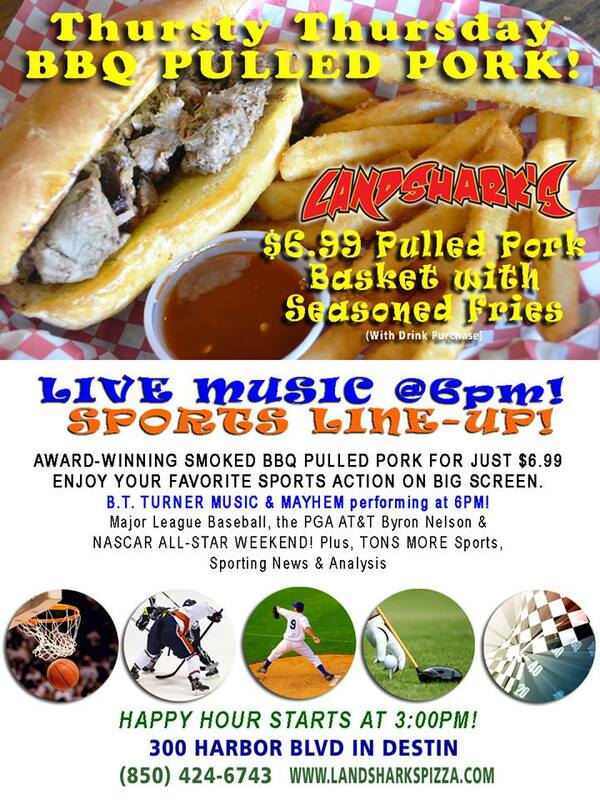 DELICIOUS FOOD & LIVE MUSIC IN DESTIN, FL WITH LANDSHARK’S $6.99 BBQ PULLED PORK BASKET! 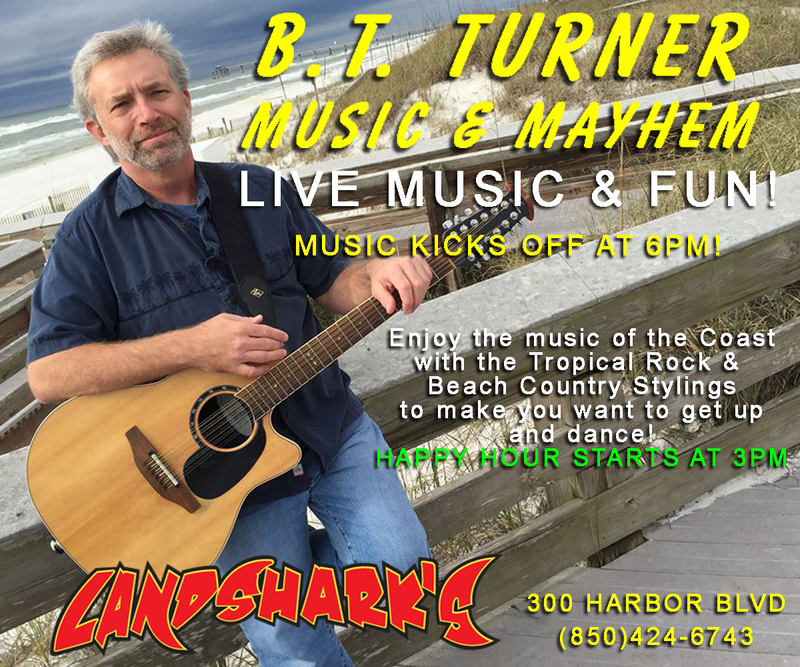 LIVE MUSIC TODAY @ 6PM – Come eat great food while you enjoy the Tropical Rock & Beach Country talents of B.T. TURNER MUSIC & MAYHEM! Chow down on AWARD-WINNING BBQ featuring our own deliciously tender, fall-off-the-bone smoked pulled pork BBQ and succulent seasoned fries that will light up your day! 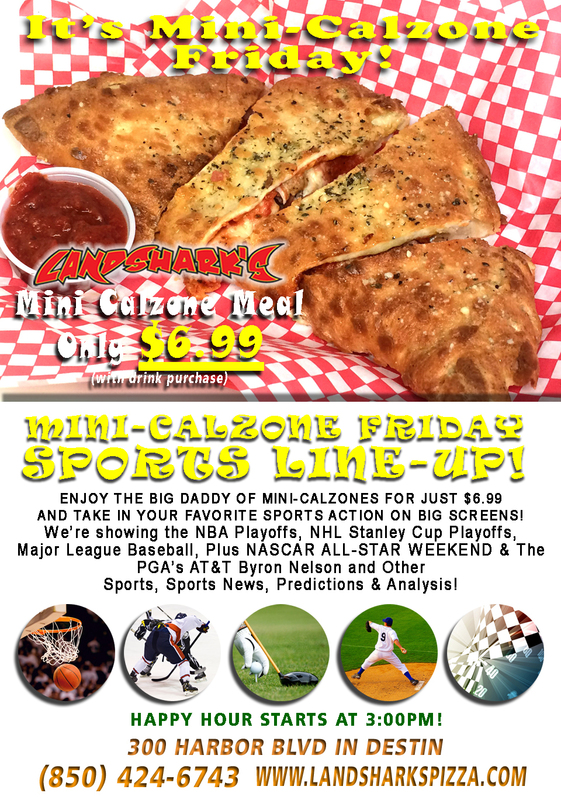 Only $6.99 with a drink purchase. PGA Tour Golf TODAY: Watch the AT&T Byron Nelson! Previous Post: « LIVE MUSIC TONIGHT @ 7PM with B.T. Turner Music & Mayhem!